Offer my customers excellent service at a competitive rate. It's with this basic principal that I founded RealWorks Realty and Lending. For over 15 years I’ve proudly helped people buy, sell, and finance real estate. I'm ready to do what it takes to make you a customer for life. 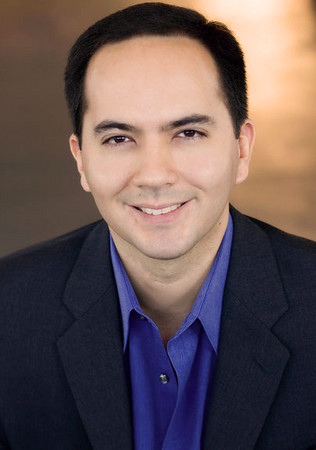 Cesar Rueda's Bio: I've worked as a Realtor and Mortgage Loan Broker since 2003. Having developed the perfect combination of sales skills and real estate intellect is what makes me a valuable asset to my clients. I can provide you with expert advice on selling your home for top dollar and will walk you through all the pre-listing preparations needed to get your home ready. I'm a skilled negotiator for both the selling and buying side, and can readily assess whether or not a prospective buyer is adequately qualified to close escrow on your listing. Not your typical real estate Broker; Unlike your average, fast talking, overly aggressive sales Agent, I’m actually an introvert that happens to be really good at selling homes and negotiating contracts. I enjoy reading, watching classic films, taking photographs, and am an accomplished amateur ballroom competitor. I graduated from U.C. Berkeley with a major in philosophy. In my studies I learned that historically the greatest thinkers were those that succeeded in disrupting their discipline and creating a new and better way for the people around them. In the long journey that has made up my career, I’ve managed to strip down the listing process and built it back up from scratch. What I have developed is a more effective, efficient and cost saving way to list and sell homes. Throughout the years I've helped everyone from experienced speculators to first time home buyers. I also have extensive experience working with clients purchasing and flipping fixer properties. My lending background will not only help you get the best home loan available, it will also be instrumental in providing you with vital information needed when reviewing offers from potential buyers looking to purchase your home. I received my BA from the University of California at Berkeley in 2000 and obtained my Broker's license in 2005. I previously worked for Rodeo Realty and Re/Max LTD Select before opening up my own real estate company in 2005.